Jetstar has flagged cutting operations to Avalon Airport, saying that flights to the Melbourne secondary airport have been “underperforming for some time”. “We are continuing to monitor the services of our Avalon routes and are yet to make a decision on the future of those services,” the airline said in a statement issued Thursday morning. 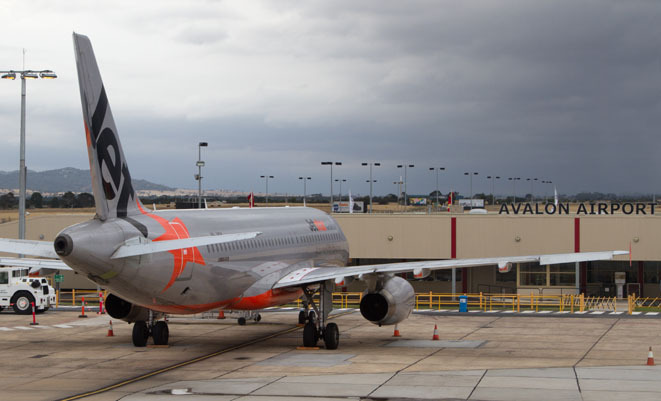 Jetstar says the heavy fare discounts required to fill Avalon flights are “not a sustainable position” and that “we have been unable to find a pathway to profitability in the current market environment”. Victorian Premier Denis Napthine has made an unspecified offer of several million dollars to keep the services. “We have put on the table a substantial offer to assist in the continuation of those services in a secure long-term basis and we have asked the operators of Avalon Airport to match our offer,” he was reported as saying. Jetstar operates flights from Avalon, which also serves the regional city of Geelong and the Victorian Surf Coast, to Sydney and Melbourne.